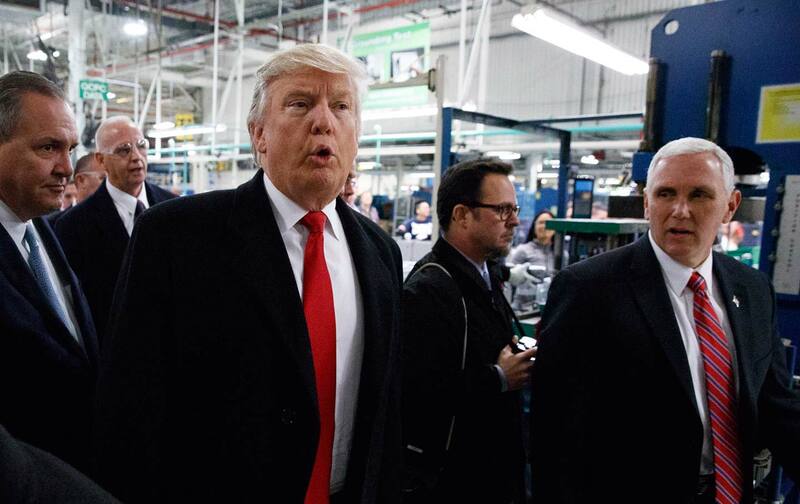 An analysis of data by the National Employment Law Project (NELP) shows that under the Trump administration, in workplaces monitored by the federal Occupational Safety and Health Administration (OSHA), workplace deaths have increased at the same time as the number of inspectors has decreased—a sign that the administration’s effort to dismantle health and safety protections for workers has made many workplaces more deadly. The data paint a picture of two years of malign neglect at OSHA, the chief federal authority for preventing workers from getting maimed, poisoned, abused or killed at work. (The data, which track performance under occupational health and safety rules, does not cover all workplaces—it excludes police, firefighters, army, work-related traffic deaths, deaths in mines, and deaths in the 29 states with state-run OSHA plans.) In the workplaces under the federal OSHA jurisdiction, NELP found an uptick in worker deaths on the job between fiscal years 2017 and 2018, from 837 to 929. When researchers assessed overall enforcement activity in terms of “enforcement units,” which factor in complexity and frequency of inspections, they also discovered a “steady decline” in the intensity of enforcement. From fiscal 2016 to 2017, federal OSHA enforcement units fell from 42,900 to 41,829. The most recent data for 2018 show that enforcement activity continued to decline, dropping further to 41,478 enforcement units. Inspections of workplace hazards involving the top category of work-related illness, musculoskeletal disorders (ergonomics), tumbled by two-thirds. Despite the rising threat of climate change and extreme hot weather in agriculture, inspections on workplace heat conditions were roughly halved in two years. OSHA’s inspection of dangerous chemicals like pesticides fell by two-thirds. According to the analysis, OSHA has increased its “quick, non-weighted inspections,” which require less time and are less resource-intensive, from 27,662 to 28,322 from fiscal years 2016 to 2018. Enforcement has also slackened amid diminishing capacity. OSHA’s staff has shrunk since the Reagan administration, from more than 1,000 in 1982, to 952 in 2016, and as of 2018, down to a 48-year low of 875 personnel. The drop seems largely a function of attrition and stagnation, not funding cuts. The budget has stayed basically level from year to year. Yet OSHA has not replaced staff who have left—hiring not a single new inspector in all of fiscal year 2017. While it is unclear whether the slowdown reflects a deliberate attempt to shrink the agency, what is clear is that a chronically under-resourced agency is atrophying further. According to the AFL-CIO, as of fiscal year 2017, there were only 1,821 workplace inspectors in both federal and state agencies combined, covering about 9 million workplaces nationwide. What limited regulatory authority OSHA did wield through its system of fines has also faded: NELP’s analysis shows that the sanctions in the highest-penalty category fell by half from 2016 to 2018, from 131 to 66. The reduction probably isn’t a function of violations growing less serious—it’s more likely that the agency is just treating them less seriously. The median penalty issued for a major violation in fiscal year 2017 was $3,553; if a worker was killed on the job, the typical penalty was only $7,500. Even the number of press releases issued by the agency has tumbled under Trump, declining by nearly two-thirds from 470 to just under 160 between 2016 and 2018. But unfairly maligned workers don’t have a platform like the nation’s top business lobbyist. Instead, they face the same fate as the workers at Wayne Farms poultry plant in Dothan, Alabama, where, according to NELP’s report, two injuries occurred within a few months, in late July and in late November 2018—in both cases, “OSHA did not inspect either of these severe injuries. Had OSHA inspected after the first one, maybe the second would have been prevented.” In recent weeks, according to Politico, the government granted the same company with a waiver on regulations for line speed. The management, despite five OSHA violations incurred since 2016, scored a green light to accelerate its processing of chicken carcasses. Correction: An earlier version of this article implied that, between 2017 and 2018, the overall, nationwide rate of workplace deaths had increased. In fact, the data analyzed by NELP indicates only that the rate of workplace deaths increased in workplaces monitored by the federal Occupational Safety and Health Administration. The federal OSHA data does not include the law-enforcement or military fields, work-related traffic deaths, deaths in mines, or deaths in the 29 states with state-run OSHA plans.